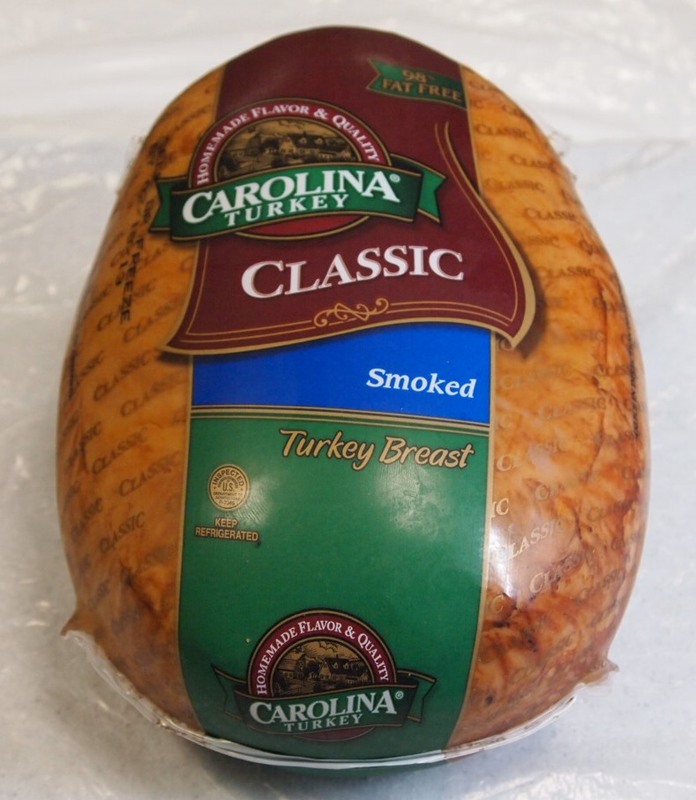 Fresh, Handmade, Petite, Skinless, Smoked, Turkey Breast, Natural Shape This fine deli meat brings the traditional taste of savory holiday turkey to every dish. Each hand-crafted, two lobe, skinless breast is hickory smoked and naturally roasted. Clean label, whole-muscle and traditional pan roasted shape makes this a versatile item for gourmet sandwiches and center-of-the-plate presentation. Carrageenan has been added to ensure a consistently moist product and maximum yield. Made from whole muscle for superior texture. This product contains carrageenan to increase moisture retention to improve slicing versatility. Product is traditional dome shaped and hickory smoked for efficient slicing yield. ABOUT SAMPLING OUR Petite Hickory Smoked Turkey Breast.